The state of California has specific laws regarding the removal of protected trees and also enforces tree-trimming regulations between landowners on neighboring properties. Before felling a tree of any kind, many California municipalities require permits or special permissions in accordance with town and city ordinances. Removing a tree from personal property in California does not require a special permit unless the tree is a protected species like oak, redwood or manzanitas. However, California residents can potentially face legal consequences by chopping down or trimming a tree of any kind on another person's property. While regulations vary between cities and counties across the state, California residents also cannot chop down trees on public property. According to California law, if a tree's trunk rests solely on the property of a landowner, that person owns the tree, but if the trunk stands between two neighboring properties, then both landowners own the tree and are equally responsible for its maintenance. California tree law between neighbors requires a landowner be responsible for maintaining a tree's foliage in a hazard-free condition. If a tree causes damage to a neighboring property, the person who owns the tree may be liable if the party who suffered the damage can prove negligence on behalf of the property owner. If your neighbor's tree is hanging over your property, you can only trim it in a way that it does not suffer permanent damage, but you can never go onto your neighbor's property to cut it. You also do not have the legal right to pick fruit from your neighbor's tree, even if its branches are hanging over your property, per California law. California oak tree trimming laws vary from city to city. Wider, taller and older oaks cannot legally be trimmed or felled without a permit throughout the state, but check with local city or county administrators to find out how the law applies to oak trees in a specific location. The redwood is California's state tree. 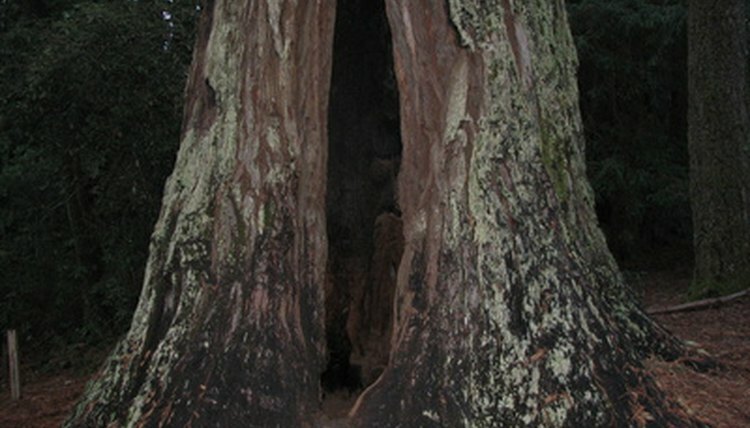 It is illegal to cut down or trim giant redwoods like those seen in Northern California. However, if there is a smaller redwood on your property, check with local city and county laws for regulations and possible permit requirements. Killing or possessing manzanita trees is illegal under the California Endangered Species Act. It is unlawful to harvest anything but the fruit of a manzanita tree without a permit, and owning any other part of a manzanita tree is also against the law. AOA: Tree Law – All You Need to Know! – By Dale Alberstone, Esq. Law Offices Of Stimmel, Stimmel & Smith: Encroaching Trees: Who Has The Right To Do What? Michelle Nati is an associate editor and writer who has reported on legal, criminal and government news for PasadenaNow.com and Complex Media. She holds a B.A. in Communications and English from Niagara University. Nati, Michelle. "Tree Maintenance Law in California." , https://legalbeagle.com/7454514-tree-maintenance-law-california.html. 06 August 2018.